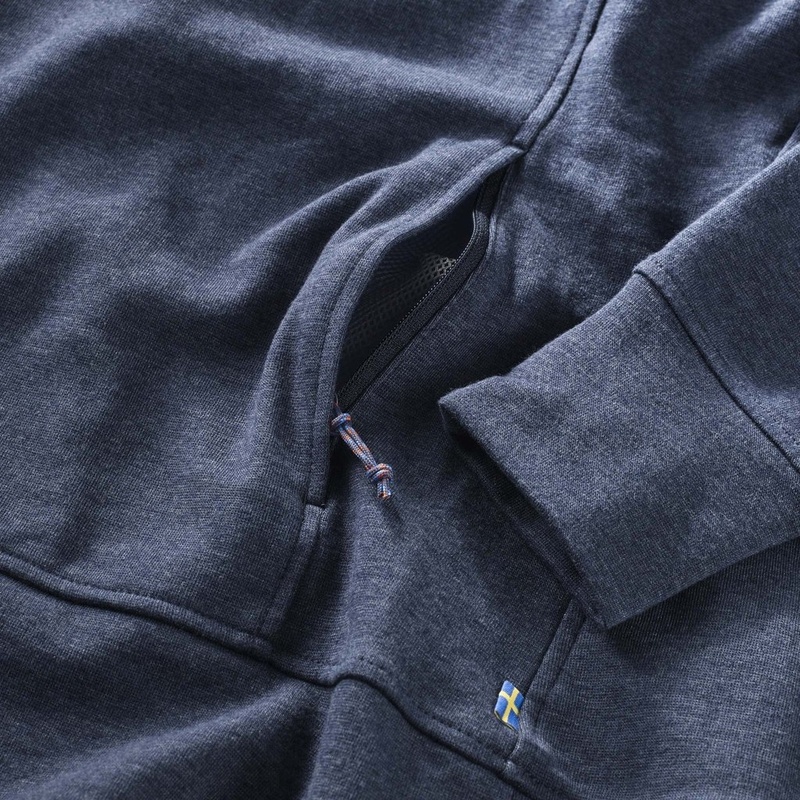 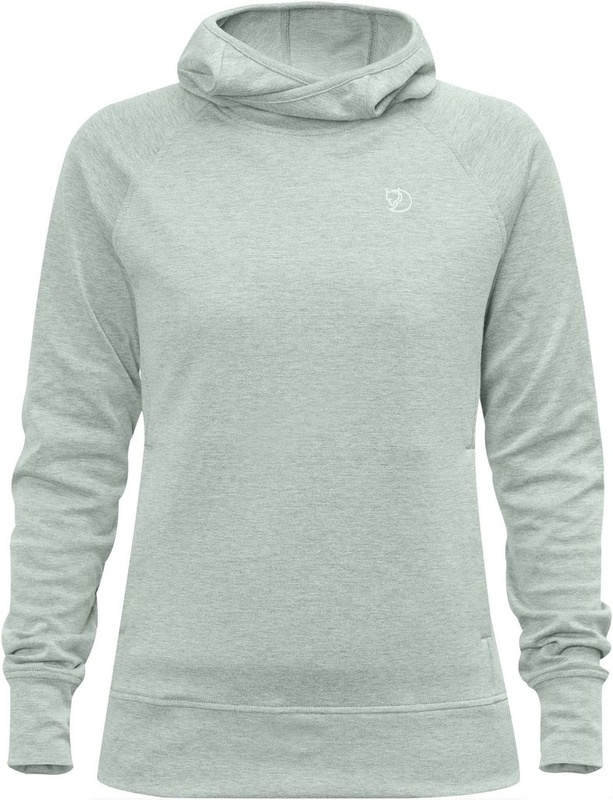 Lightweight and convenient hooded sweater in soft cotton/polyester blend that effectively wicks away moisture and dries fast. 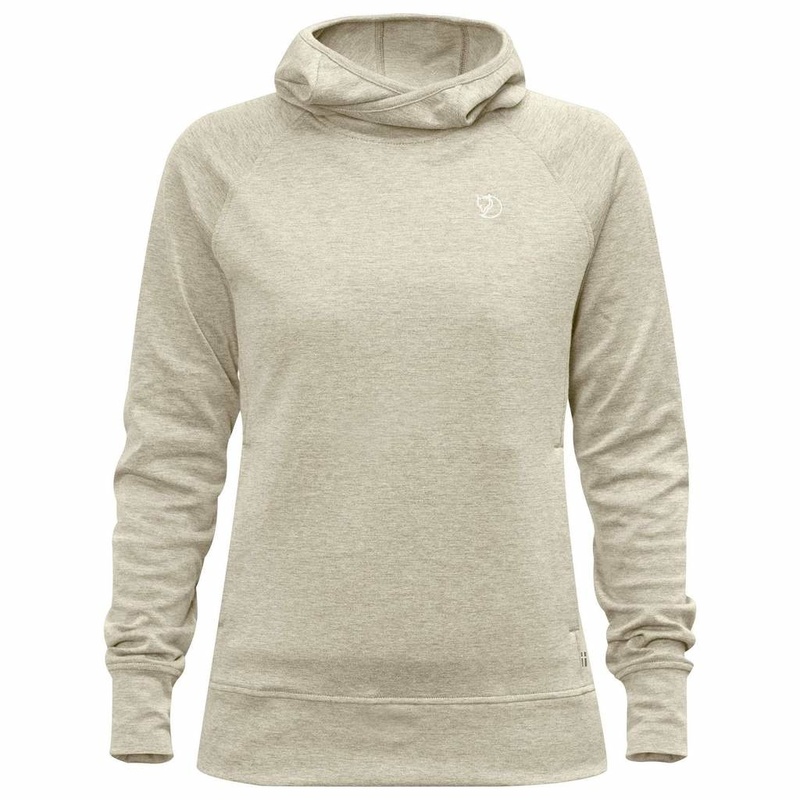 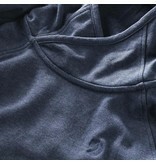 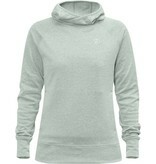 Perfect as a packable mid layer on summer outings, and can also be worn as a base layer, next to the skin. 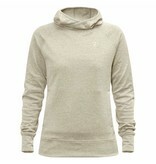 Well-fitting feminine cut with raglan sleeves. 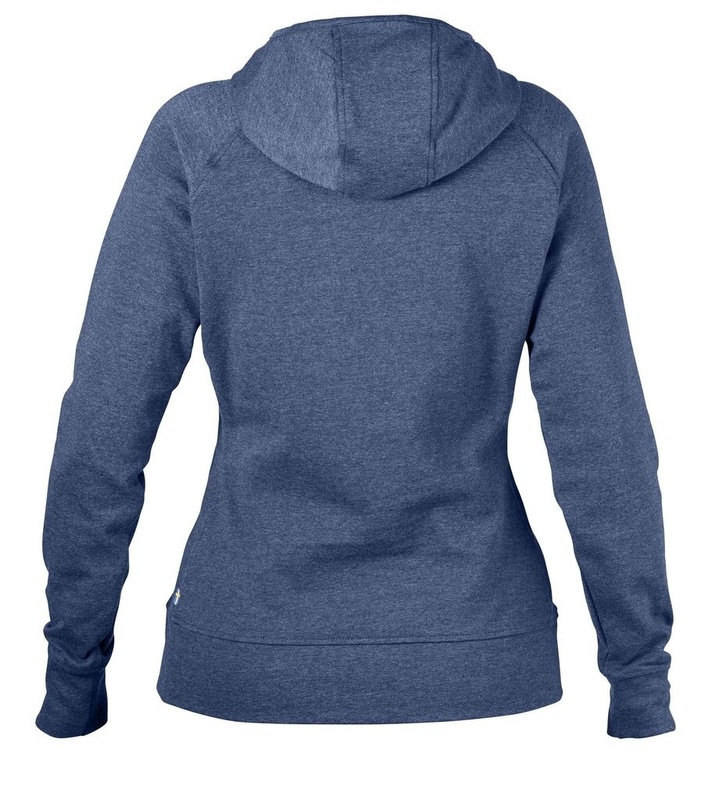 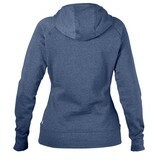 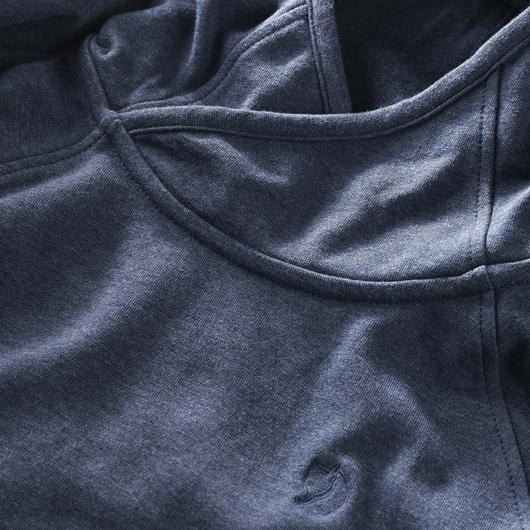 The hood has an overlapping front section that warms the neck nicely. Spacious kangaroo pocket with zippers at the openings.